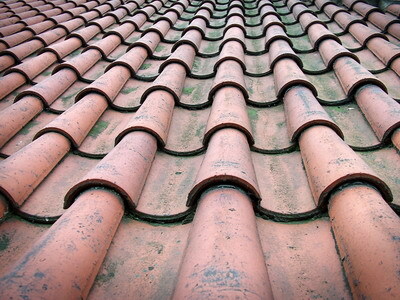 Spanish roof tiles are of the most popular roof tile styles around. 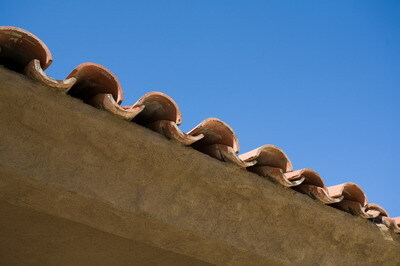 The Spanish roof tile is traditionally comprised of two pieces, although it is also available as a single piece. It is classic, yet with modern designs and techniques its aesthetics are versatile. It historically evolved from the old European buildings and western missions around the world. Graceful and bold, Spanish roof tiles make for a dramatic wavy look, multi-dimensional, and yet is clean looking and smooth. The Spanish ceramic roof tile, for example, as well as the concrete Spanish roof tile, comes in a wide array of patterns and finishes. Add to that the color blending options and architectural styles and you will find much more than a single uniform Spanish roof tile look. Homeowners who seek a durable, long lasting and highly durable solution for a sloped roof, Spanish roof tiles are an ideal solution. Low slope roofs will typically need a waterproofing underlayment to solve water problems that a sloped roof does not incur. Plastic Spanish roof tiles, concrete Spanish roof tiles and a Spanish tile metal roof too all are made of incombustible material that would with a low moisture absorption rate and which are hard to break. As a matter of fact, it is reasonable to expect the warranty for any of these Spanish roof tiles to be in the lines of a 75 year limited warranty and a 20 year prime warranty, which will cover replacement costs for the first 20 years since installation, labor included. 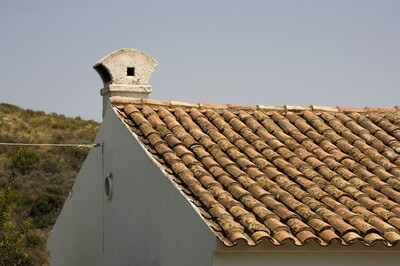 Another advantage Spanish roof tiles have is that they require no serious maintenance if used under normal conditions. Periodic checks of the entire roof system are usually required, but the roof tiles are sturdy.